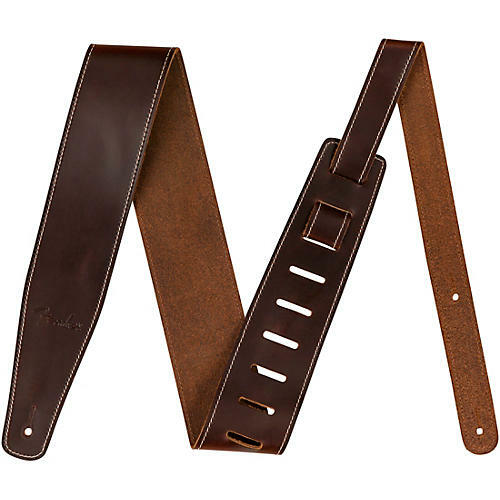 Fender’s 2.5” Leather guitar strap offers a luxurious and comfortable feel. The sturdy genuine leather top sports an elegant oil finish while the backing is crafted from 5oz. cowhide leather. This strap adjusts from 46” to 54.5” long, making it ideal for guitarists of any height.